Cloud Farm is hardly a secret in this part of England. And at peak times it gets pretty busy but it still scores very highly for me. If you get there at a good time you can pitch next to the river (Badgworthy Water), which tumbles along merrily and, it has to be said, fairly noisily along the bottom of the valley. There is a fence presumably to stop small children falling in, but there are handy gaps at intervals so you can climb down, clamber over the rocks, and do all the other things that picturesque rivers require you to do. Camping right next to Badgworthy Water. Arriving mid-week the place is lovely and empty. On the oppposite side of the river is Exmoor. 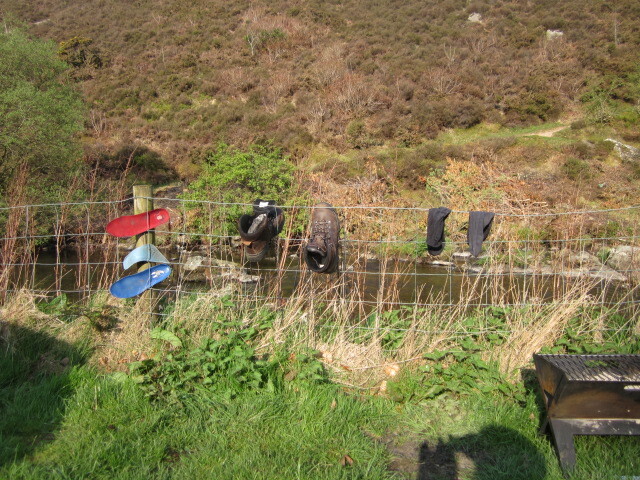 Although you are in a valley the views are lovely, there is a cute footbridge over the river from the campsite or if you are brave a few places you can step across on stones with only slightly wet feet, depending on how high the river is! It is well worth exploring this area. In one direction along the river there are several deep pools, very peaceful and beautiful and in the other direction you will find the ford where the occasional car or tractor splashes through and the kids can have a great paddle, next to which is a rather a sweet gift shop and a cafe. All most satisfying. Nearby is Lynton and Lynmouth, the stony beach of Porlock and if you venture through the Valley of The Rocks near Lynmouth you might stumble across Lee Cove, a gorgeous cove which reveals acres of gorgeous sand as the tide recedes. The guy who runs the campsite is a yachtsman so ask him about tide times! 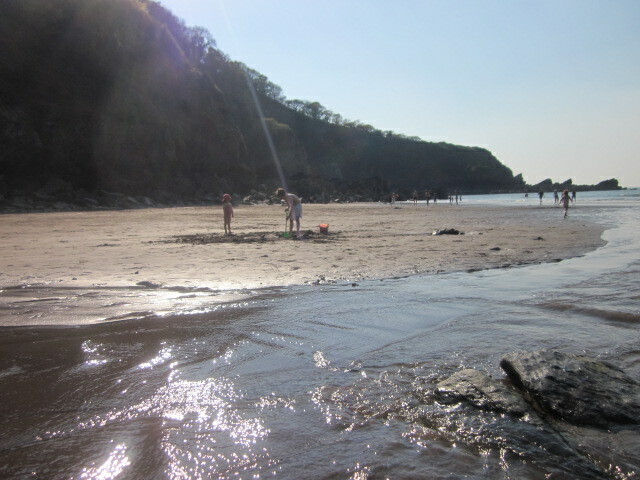 Fantastic cove that reveals acres of sandy beach as the tide recedes. Fires are allowed, indeed encouraged, you can’t book so try and get there early for a riverside pitch. The site does spread a long way along the river but the furthest parts are quite a hike from the toilets. There is a shop with some basics and a lovely cafe selling crean teas. Yum. 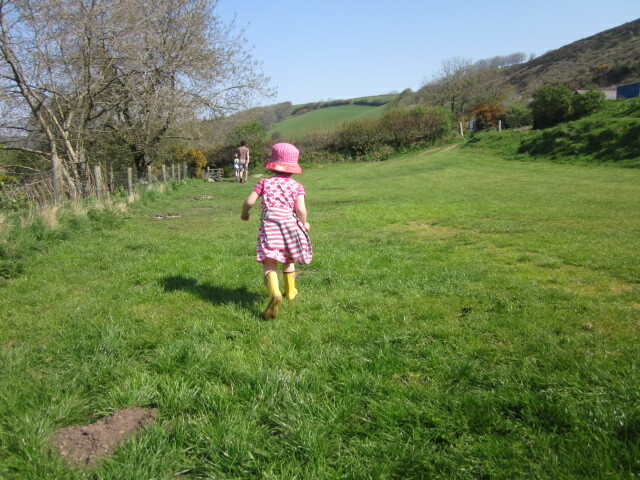 All set amongst the gorgeous wildness of Exmoor. A definite favourite. Since, this review written I have visited Cloud Farm again, please have a look at my thoughts second time around! You may also be interested in this ‘Alternatives to Cloud Farm’.